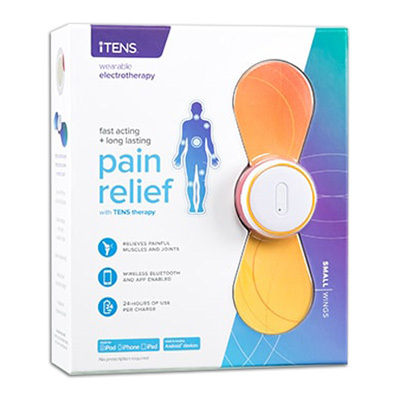 The Orange iTENS device with Small Winged Electrodes is a wireless therapy device that can be controlled with an Android or iOS compatible device. This device is the world’s first wireless pain relieving unit that doesn’t require a prescription, and has been FDA approved. It can be purchased over-the-counter and used for a very effective way to relieve pain using the latest smart phone and Bluetooth technology. This will allow you to control multiple devices at once while receiving the optimized treatment needed. Additional replacement electrodes are available separately.